WP User Manager extends the way your WordPress menu manager works. We have added a set of WPUM powered links directly into the menu manager interface. These are dynamic links that hide and display based on different conditions. Show menu item to everyone. Show menu item to logged in users only ( with possibility to select user roles too ). Show menu item to logged out users only. When editing a menu item you will now see a new "Display to" setting, select the option that you prefer and then save your menu. 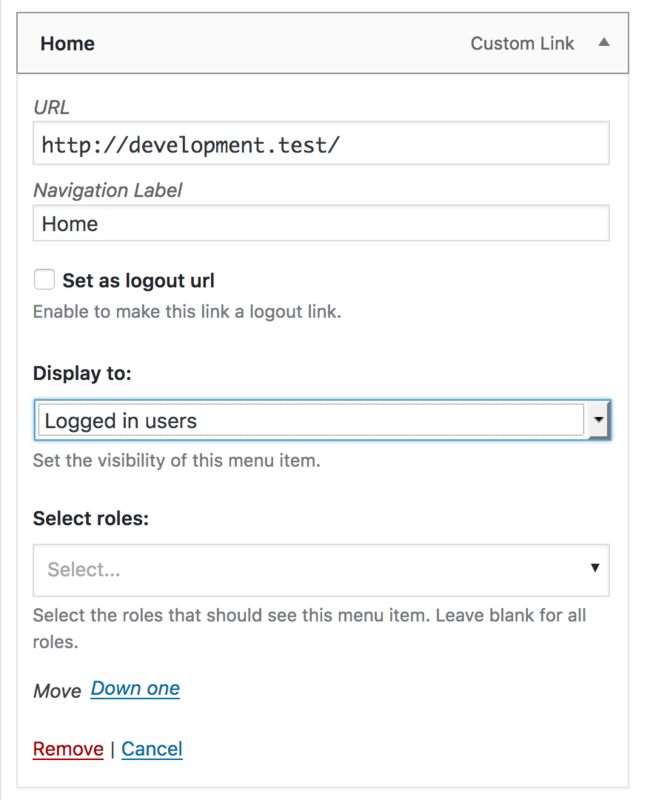 In order to create a logout link, create a menu item and then enable the "set as logout url" option.